Worldwide shark populations have seen sharp declines due to overfishing, either as bycatch, directed fisheries and shark finning for Asian markets. 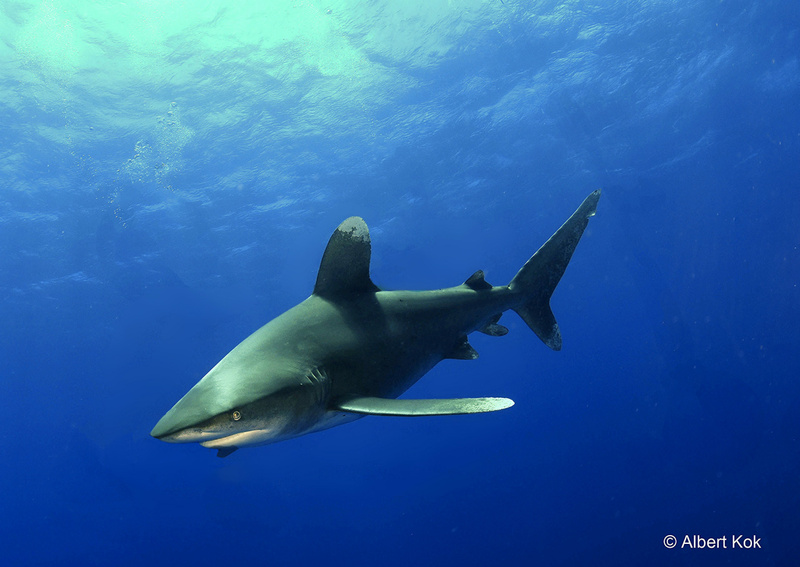 Even across the Caribbean concern for sharks has grown, as considerable declines have been observed in recent decades. Conservation and management measures are on its way but have not yet succeeded in reversing these trends. This is largely due to lack of resources and/or political will for the effective implementation and enforcement of legislation. And Asian markets are still making lots of profits with the shark fin trade. An exception are the Bahamas that are rich in a variety of sharks. One reason is the vicinity of the Gulfstream pushing billions of tons of clear and nutritous water in the passage between Floridas East Coast and the Bahamas banks. Bahamian sharks have also profited from a ban on longline fishing in the early 90ties, followed by the establishment of the Bahamian shark sanctuary in 2011. The Bahamian sanctuary was created by adding an amendment to the Fisheries Resources Act to prohibit commercial shark fishing along with the sale, importation and export of shark products. Establishing the non-consumptive value of natural resources has become increasingly succesful to support conservation and management legislation. The key word here is eco-tourism. Shark eco-tourism may help to get popular misconceptions about sharks out of the world, to protect vulnerable species and contribute to the local economies of countries visited by tourists. A recent comprehensive study conducted by the Cape Eleuthera Institute and the University of Florida, Gainesville USA is the first that has adressed the issue of the non-consumptive economic value of sharks in the Bahamas*. Their major source of information was expenditures made by shark diving tourists, which included offshore as well as live-aboard trips. Shark profits Expenditures made by divers only within the Bahamas were called National Expenditures, and those made in all countries as wel as the Bahamas Global Expenditures. For example, domestic live-aboard boats are typically operated from Nassau where their guests embark and disembark, and where the vessel takes on fuel, food and water. The foreign live-aboard boats typically embark and disembark in Florida's major cities (i.e. Miami, Palm Beach, Fort Lauderdale, and KeyWest, contributing little to the National economies of the Bahamas. Table 2 Per-Capita and location Annual Revenues. National Expenditures: revenues in these islands. Global Expenditures: revenues in all countries (The Bahamas and elsewhere, such as on liveaboard dive boats)*. The Haas et al study revealed that the Bahamas are the largest shark diving economy in the World, contributing approximately $113.8 million USD annually to the Bahamian economy in direct and indirect expenditures. Not all revenus however are entering the Bahamian economy. This holds in particular for values found for species-specific targets as Tiger Beach at the West End of Grand Bahama where 97.6% of the $2.69 million generated by tiger sharks stays in the U.S (see table 1). Calculated as per-capita revenues (revenues per head of the population) the local economies of Cat Island and West End Grand Bahama profit only for 21% and 3% of shark tourism.This concerned visits of species like the Oceanic and Tiger shark respectively. For visits of the G.hammerhead at Bimini National and Global expenditures were more in balance (see table 2). Could perhaps the economic benefits to the local population of out-islands (with a higher poverty rate than Nassau) be further improved by some degree of legislation for foreign live-aboard dive vessels? The study concludes that the economic importance of highly-migratory species such as the Oceanic whitetip, Tiger and Great hammerhead sharks which are listed as ‘vulnerable’, ‘near threatened’ and ‘endangered’ respectively highlights the need for The Bahamas to continue to advocate for regional conservation of these species. This is because during migration these apex predators are still at risk from coastal and high-seas fisheries of the Carribean and the USA that lie outside the sanctuary.